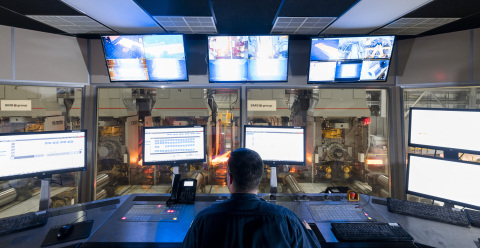 WICHITA, Kan.--(BUSINESS WIRE)--EFT Analytics, a leading provider of predictive analytics, process optimization and energy management solutions, is producing impressive results at the world’s most technologically advanced steel mill, Big River Steel, in Arkansas. By combining EFT’s advanced analytics software platform and engineering expertise with Big River Steel’s process and steel making knowledge, EFT has delivered a real-time solution to predict product quality issues and provide operators with guidance for reducing defects before they occur. The pairing of process knowledge with powerful data analytics tools is paying dividends for Big River Steel. The return on investment (ROI) has been recognized in a matter of months. Big River Steel has built the world's first Flex Mill™, a technology-based steel mill and recycling facility focused on the production of a wide product spectrum, including advanced automotive steels and electrical steels. Since operations began in 2017, Big River has provided steel products to more than 200 customers in the automotive, energy, construction and agricultural industries. Since operations began in 2017, Big River has provided steel products to over 200 customers in the automotive, energy, construction and agricultural industries. Big River Steel takes a visionary, entrepreneurial approach to the ever-changing American manufacturing industry by reimagining what it means to be a steel company in the global marketplace. From its Flex Mill™ equipment, to AI technology, to partnerships with academic research institutes, Big River is daring to be more than what you’d expect from a steel company. Big River knows innovation is alive and well in steel, and they’re excited to be leading that charge. More information is available at www.bigriversteel.com.